Giving people with disabilities from across the South East the opportunity to share in the joys and freedom that skiing offers, with the help of others and through the use of adaptive equipment and techniques. 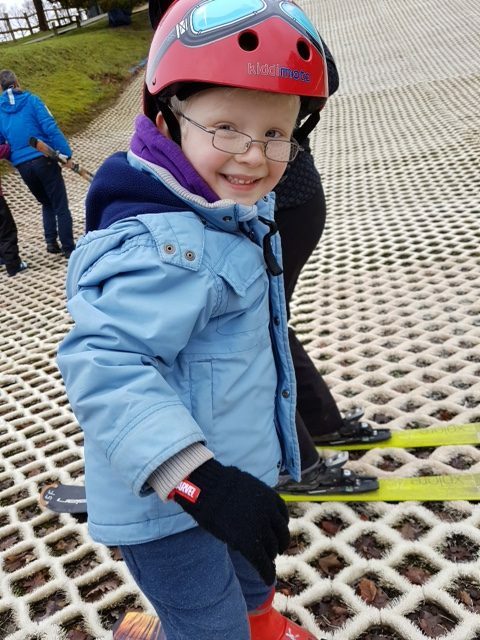 DSUK South East Group is a local branch of Disability Snow Sport UK. The next Saturday skiing is on 11/05/19 (17:00-19:00) at Bowles. Please email John to book your Saturday place. Mixed ability session. The next Sunday ski date at Bowles. is 14/04/19 (10:00-12:00) Please email Jane to book your Sunday place. Sunday morning sessions at Bowles are great for beginners. Everyone is welcome to either saturday or sunday sessions, just book a place. Please go to Calendar of Events for a list of dates for the rest of the year. We endeavour to keep this homepage up to date, but sometimes we are a bit behind. Please remember to send your shoe size, height and weight in a couple of days before a session, if you haven’t been for a while, it speeds up issuing skis.